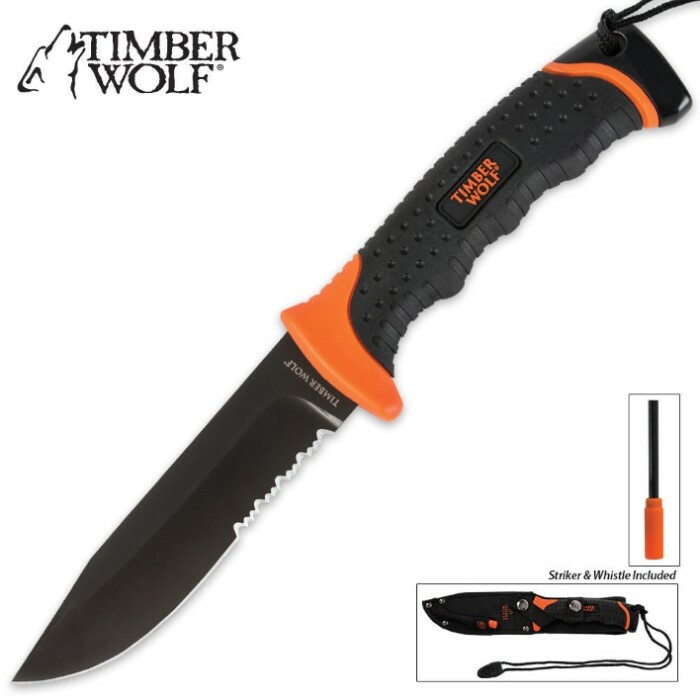 Ultimate Timber Wolf Survival Fixed Blade Knife | BUDK.com - Knives & Swords At The Lowest Prices! The Ultimate in survival knives is finally here, by none other than Timber Wolf knives! This fixed blade knife features a 440A stainless steel that is grey Titanium coated for a sleek, glare-resistant and corrosion-resistant design. The injection molded handle is black with orange accents. The handle offers a lanyard with a whistle on the end, making this the knife to have in any situation. 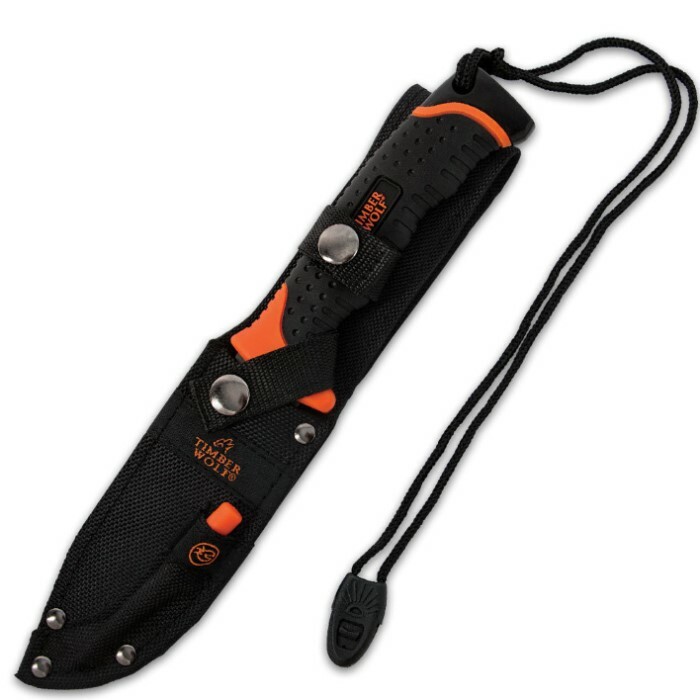 Includes nylon sheath that houses the knife as well as a fire starter. its definitely worth the price if you want a survival knife for cheap. i got mine in green which is no longer sold here on bud k. I put mine through some good use got a sore from using it too much, good grip on the handle. lost the crappy whistle on it really fast and the string is some random junk if you want a lanyard on it use paracord. can easily re-sharpen, but over all its a good knife with a good price. This survival knife is AMAZING! I love it and been looking for a knife that is great like this one. I go camping alot and this knife come handle specially with the fire starter, just wish the sheath was leather or modeled. But so far this is a AWESOME! 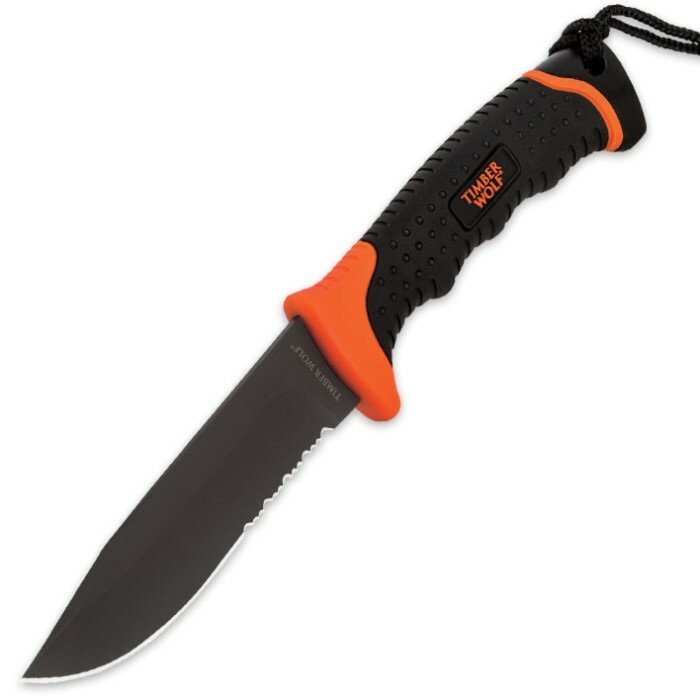 This is the best knife i have had, It is as good as a bear grylls knifes i would get this of those knife for on reason. These ones are cheaper and the same quality.